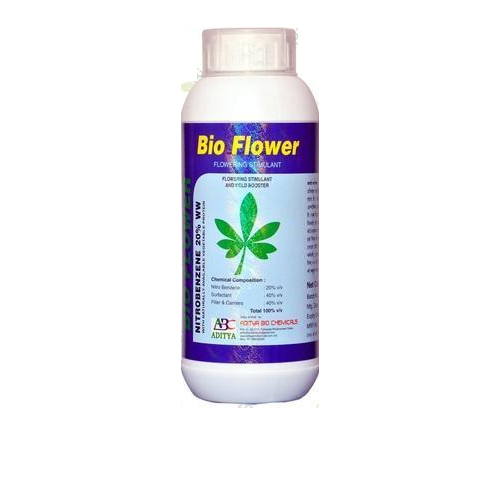 Pioneers in the industry, we offer bio flower nitrobenzene stimulant from India. It increases plant size and helps for flowering. It is compatible with pesticide and fungicides. It helps the plant to increase CN ratio significantly. Nitrobenzene is a plant energized and flower stimulant. It enhances the plant canopy and induces flowering and increases the yield. It can be used in all major agriculture crops through foliar application. Dose: 20 ml in 15 ltr water.